Nishad Sharma, a Delhi-based entrepreneur, is a typical online shopper who keeps a tab on the various sales and promotional deals run by e-commerce companies from time to time. On the cool Delhi evening of February 4, he opened online fashion company Myntra's app on his smartphone to see if there were any deals on trousers. That day, Myntra was running its Rush Hour sale in which customers could avail up to 50 per cent discount on select products. After filtering his search, Sharma decided to add a pair of UCB trousers to his shopping cart. But then he changed his mind. Perhaps he could get a better deal if he logged on into a sale on a weekend. To his surprise, Sharma received a mail from Myntra next morning, telling him what he presumably lost by abandoning his cart the previous day. The same product was now available at a 100 per cent mark-up. To close the sale, the company sent another mail to Sharma a couple of days later, offering a smaller discount of 20 per cent. Sharma couldn't let it go waste a second time round. The systematic and gentle hounding of Sharma points at a big shift in the way e-commerce players target customers. Says Myntra's chief strategy officer Prasad Kompalli, "Gone are the days of sending irrelevant mail shots to one and all. Today we are in a position to identify and reach out to our customers." 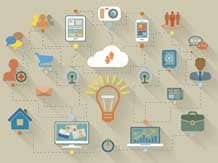 To make this possible on a large scale, e-commerce firms are sprucing up their predictive analytics skills and the attendant infrastructure to understand who their most valuable customers are. Predictive analytics factors in all possible variables that help the marketer devise the right strategy to generate the desired engagement with customers - from providing timely and accurate sales forecasting insights, to equipping them with opportunities to improve diagnosis and the design of their websites to accommodate the pressures of any shopping blitzkrieg. These insights can range from what time of the day your website can witness maximum traffic, what products/pages will receive high impressions, which region you can expect the bulk of the orders to come from (to help in the planning of logistics and cash on delivery options) and the like. All of this to drive that awfully important thing -conversion. Higher conversion rates can be achieved by following a three-step process. Any e-commerce company must begin by understanding the 'shopping mission'. The main objective behind this is to understand what the customer is looking for. Besides getting an idea of a customer's product preference, the company tracks how the customer - via search engine, banner ads, mailers etc - reached the landing page of its website. Today more than 50 different types of cookies and trackers are present on a browser. So firms have additional information on which other websites a user visited. Step 2 involves defining what the customer is likely to buy and how this can be fast-tracked through recommendations. While any leading e-tailer has millions of SKUs, only four to five products can be recommended to one customer. For instance, Amazon uses recommendation algorithms to personalise the online store for each customer. The store radically changes based on customer interests, showing programming titles to a software engineer and baby diapers to a new mother. The third and last step is related to setting the right shopping context. For example, umbrellas could sell more in Mumbai between July and August when the city receives heavy rainfall. Other aspect of setting the right context is about using the customers' geolocation information. Explains Srikanth Velamakanni, chief executive officer, Fractal Analytics, "If I am standing at a Shoppers Stop store to do a price comparison for a shirt on the Flipkart app, the e-tailer can respond by sending a favourable price quote." What he means is there's no dearth of software and tools to create distinct consumer profiles. Fractal Analytics has a service called 'customer genomics' that uses proprietary machine-learning algorithms to help clients leverage big data to create deeper customer insights. This service can create comprehensive consumer profiles in seconds for gaining authorised access to their Facebook IDs. By now leading e-commerce companies like Flipkart, Myntra, Jabong and Snapdeal have access to a huge amount of internal and external shopper data. However, at this stage in their evolution, these companies are focused more on building the internal data. A customer's shopping history is the main input that goes a long way in building her profile. As mentioned earlier, to build their toplines, e-commerce companies are organising more 'sales' properties. Now, to manage high traffic and up the conversion rates, they have to do their homework really well. For one Myntra had begun preparations for its 'End of Reason' sale around a month in advance. Preparations kicked-off by understanding the marketing message of the sale event. The next step involved an in-depth analysis of the best-selling categories on its portal over last 10 days. After this, a catalogue was prepared, listing all the items on which the company offered discounts in the range of 20 to 70 per cent. In the final stage of preparations, the company reached out to a targeted set of customers. With its vast product assortment, while it makes sense for Myntra to approach as many customers as possible, the company does not look at this as a carpet-bombing exercise. "For example, if a particular sale catalogue does not contain women's products, we do not send mailers to them," adds Kompalli. Myntra claims that it got 20x traffic for the January 3 sale day and because of this overwhelming response the two-day sale was wrapped up in just one day. Despite the availability of recommendation and event-driven promotion engines, many e-retailers find it challenging to determine the right product recommendation or promotion that will help them close a sale. 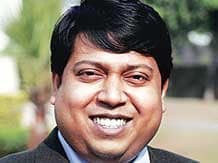 Says Puneet Gupta, chief technology officer, Brillio (a US-based technology consultant and software developer), "With predictive analytics and the use of machine learning, e-commerce players can now derive a clear understanding of consumer behavioural patterns, spanning purchase history and performance of different products on the site." Amazon's forecasting tools use historical data and also have the provision for assessing fluctuations in demand during festivals and holidays. Says Samir Kumar, director, category management, Amazon India, "Analytics helps us predict the traffic on the website along with the possible conversion rate. Since our website runs on the Amazon Web Services (AWS) cloud, we also have the flexibility to scale up in real-time." The company uses brand and SKU data along with the number of visits to various product pages to determine if the assortment will attract customers. This data is then shared with the listed sellers. Analytics can also be used in predicting the amount of sales that is possible during peak sale seasons. In general, Snapdeal doesn't set prices. But it encourages the seller to offer discounts. Sellers by themselves neither have the data nor tool to analyse the big trends. The company has a platform on which all the data on what is sold in various seasons, day of the month, time of the day etc is stored. A collective data analysis of all the ongoing sales helps sellers in setting the prices of their products. Snapdeal also provide its merchants with data points on the expected volume of sale based on the prices set. In last two years, the likes of Flipkart, Jabong and Snapdeal have paid extra attention to pushing their app downloads. The idea is to create more loyal customers and mine accurate data on each one of them. Says Amitabh Misra, chief technology officer, Snapdeal, "You can collect more consumer data through apps because it can access consumer data on mobile phones. So if a user has given the access, we can give her better recommendations on the basis of the social information collected." This is how Snapdeal mines its app data. First customers are profiled on the basis of mobile devices they are using. There is a tracking SDK (software development kit) embedded in the application and as the person navigates through the app, data is collected and sent to the server for analysis. Next, the app interacts with the API (application programming interface) layers at the backend. At the API layer, information on browsing data, buying history etc is collected. The information that can be collected also depends on kind of phone being used and whether you get access to the consumer's contact list, social data and so on. "It has more to do with connecting mobile data with personal data and their interaction with the app," Misra adds. Snapdeal, however, is cautious about not using any information that a user has not explicitly given permission for. The data collected through smartphones is not stored in a personalised manner. It is more about trend analysis than individual shopper analysis. Even as personal data is used as an input for algorithms around offerings like 'similar products', 'also viewed' etc, the moment it passes though the system, it is obscured. In other words, data relating to one shopper will never be shown to another. Besides providing a better buying experience to shoppers, this capability helps Snapdeal cut costs. Analytics is increasingly being used by e-commerce players to personalise sales catalogue for multiple customers. The recommendation engine helps to estimate features a user will like and, hence, helps in increasing the response rate. While this can lead to cost escalation, higher response rates and higher sales make it worth the effort. E-retailers can also deploy A/B testing to understand which product display, offer or feature on the website is leading to higher rates of clicks, purchase and reviews. The testing is done on a sample of visitors so that the impact of making changes to any of the features, including the sale catalogue can be studied thoroughly before a bigger rollout.